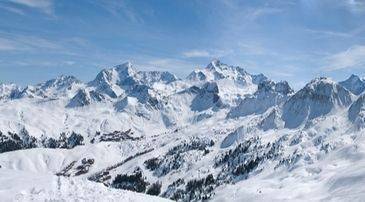 Courchevel is a superb holiday resort located in the heart of the world renowned 3 Valleys ski area. The 3 Valleys is known for being one of the best places to ski in the whole of Europe, but also provides incredible scenic views and activities galore for fantastic summer holidays. 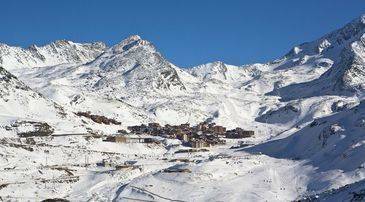 This huge area is made up of five resorts: Saint Bon, Le Praz, Courchevel 1550, Courchevel 1650, and Courchevel 1850. It is in Courchevel that you can find the luxurious Madame Vacances properties, Diana 1 and Diana 2. This picturesque resort is a haven for active holidaymakers throughout the summer, when it is bustling, sun-soaked and rural. 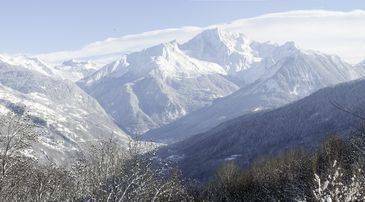 The resort of Courchevel and the larger domain of the 3 Valleys can be found in the Saint Bon Tarentaise commune. This commune is located in the Tarentaise Valley of the Savoie department in the heart of the French Alps. Located in the most picturesque part of the resort, our Courchevel chalets are designed in the traditional Savoyard style and can sleep up to eight or ten people. During the summer, the snow and ice which make Courchevel such a popular skiing destination melt away, revealing a green and flowery landscape filled with an array of flora and fauna. As the national sport of France, cycling is extremely popular throughout the country, but nowhere more so than in Courchevel. Mountain biking is a must in this alpine region with tourists and locals alike. There are cross country and downhill cycle paths as well as bike chair lifts which operate throughout the summer. The terrain in Courchevel is ideal for cyclists of all abilities and the biking trails pass through some of the Alps' most stunning scenery. Hiking is another excellent way to explore the resort in the summer, with miles of hiking paths leading from Courchevel across the 3 Valleys region. There are suitable trails for walkers of any age, so you can enjoy the beautiful views that the Alps have to offer, no matter who you're travelling with. If you're not certain where to start, pick up one of the many clearly labelled hiking maps available from the tourist office. Hiking through Courchevel is an incredible experience, whether strolling along one of the more gentle footpaths or taking a challenging hike along an uphill track off of the beaten path, you'll pass butterflies, deer, rabbits, and colourful flowers. Thrill-seeking travellers are well suited to the landscape of Courchevel. To get to know the rugged mountainous terrain, try via ferrata. This exhilarating activity is not for the faint of heart. It involves being strapped into a harness and climbing the high ropes up the sides of cliffs and mountains. The resort has plenty of via ferrata and climbing facilities, and the most beautiful views can be seen from the routes at Lac de La Rosiere and Pralognan. Climbing is not the only exciting way to explore the resort of Courchevel in summer. There are still a few ski slopes that remain active in the sunshine and the very highest peaks of the Vanoise National Park welcome skiers all year round. After all of this action and adventure, enjoy some relaxing down time at one of the spas of the resort. Courchevel's wellness centres allow guests to unwind and be pampered with beauty treatments, luxurious massages, and steam room saunas. There are around 10 tasty restaurants located in Courchevel, and foodies flock from all over France to sample the delicious mountain cuisine these eateries have on offer. The resort boasts more Michelin stars than anywhere else in the French Alps. From snack bars to Michelin stars, there is something here to suit every traveller's personal taste. Traditional Savoyard cuisine is famous for its many different types of cheese, and there is no better cheeseboard in Courchevel than the one on offer at Petit Savoyard. This friendly restaurant has been in business for twenty years and is a firm favourite with the locals. Another great place to sample authentic alpine food is at Bouc Blanc. Located high in the mountains, Bouc Blanc serves surprisingly affordable local dishes such as Beaufort tart and diots de vin blanc with unbeatable views of the scenery. For something slightly more international that the kids are guaranteed to love, head to La Grange a Pizza in the centre of Courchevel. The nightlife of Courchevel mainly revolves around après-ski drinks, so during the summer there are not a huge number of clubs and bars which remain open. However, the venues which do stay open through summer are known for having a hugely hospitable atmosphere. The two most popular bars in the resort are the Funky Fox and Le Bubble. The Funky Fox is situated in Courchevel 1650 and has cheap drinks, drum and bass music and the doors don't close until the first signs of daylight. Fun-loving Le Bubble describes itself as a 'coffee sipping, mutzig slurping, nacho munching, ski boot dancing, late night buzzing kind of place'. The only nightclub in the resort is Les Caves, which is located next to the entrance of Courchevel 1850. This is a lively club with dancing all night, but drinks are on the expensive side. During the summer, pedestrian lifts, mountain bike lifts, and chair lifts still operate in Courchevel. Summer lift passes for adults range from Eu17 for one day to Eu160 for the entire season. One of these passes provides access to all of the lifts across the 3 Valleys area, and guests who still have a Courchevel season pass from the previous winter will be given free access to the lifts throughout the summer. There are plenty of babysitting and au pair facilities on offer in the resort. Many of the English speaking nanny services in Courchevel are mobile and the babysitters can come to your holiday accommodation. The most popular childcare company in the resort is Snowbugs, although there are many more options to keep your little ones safe and happy. During the summer it should be easy to find a parking space in the resort. There are parking spaces on the streets available between 7am and 8pm every day, which can be paid for at a nearby parking meter. There are also a few limited free parking spaces such as in the centre of Courchevel and on the outskirts of La Praz village, and most of the hotels and apartment buildings offer parking nearby.